Happy New Year! 2018 was a busy year for us between the expansion of our current location and preparing to open our second location on State Street in Santa Barbara. We’d like to thank you all for an amazing 2018 and for your continued support throughout the past five years. We are expecting 2019 to be an even more memorable year! Be on the lookout for new beers, can releases, new pizzas and more exciting IAC news coming your way this year. This month’s specialty pizza is the Pesto Romano! It has a basil pesto base with light mozzarella, fresh Roma tomatoes, Crimini mushrooms, red onions and garlic. It's then garnished with Pecorino Romano cheese, fresh arugula and a balsamic vinegar glaze. Come try our lunch special Monday - Friday until 2pm. Lunch special comes with any lunch sized pizza of your choice plus a free soda for $7! wild fire relief night at iac! We’re hosting a Wild Fire Relief Night here at IAC with our friends from Sierra Nevada & Ladyface. Sierra Nevada brewed Resilience Butte County Proud IPA to support those impacted by the Camp Fire. 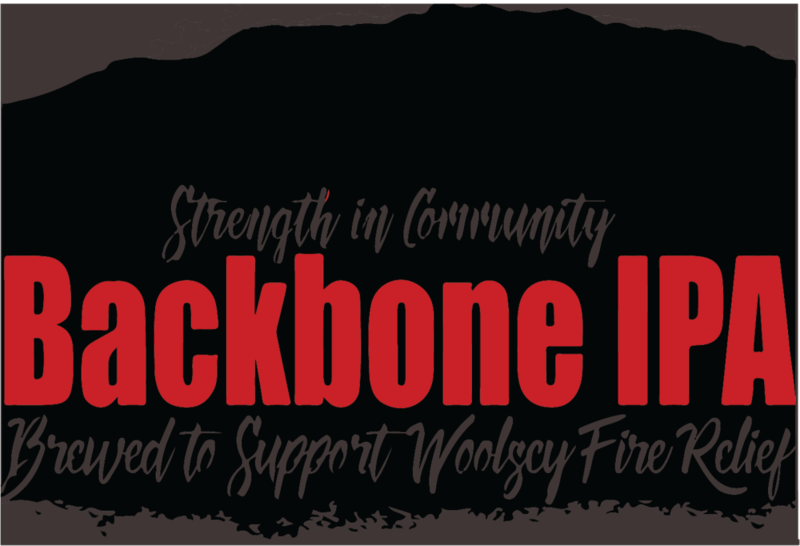 Ladyface released Backbone IPA, brewed to support Woolsey Fire Relief efforts and rebuild our community. Both will be available at IAC, so make sure to come out and support your community on this one night only event. Check back soon for more details! Blueberry Day Dreamin’ is part of our Day Dreamin’ series of fruited golden ales. This beer is light and easy to drink, with a fruity sweetness that's not overpowering. This beer features blueberries! Pink Guava Day Dreamin’ is part of our Day Dreamin’ series of fruited golden ales. This beer is light and easy to drink, with a fruity sweetness that's not overpowering. This beer features Pink Guava! Recover The Pieces is a brand new IPA recipe using 100% Simcoe hops. Simcoe hops are one of our favorite hops and are known for their piney, passion fruit and citrus flavors. For this beer we used our traditional hops (T-90 pellets) and Cryo (Lupulin hop powder) to showcases all the unique properties of this amazing hop. Welcome Home Outcasts is a rebrew of our 5th anniversary IPA brewed back in September. We loved this beer so much so decided it needed to make another appearance. W.H.O. is hopped with 5 different varietals - Simcoe, Mosaic, Citra, Cascade and Columbus. If you loved our 5th Anniversary beer, grab a pint or cans when it’s available later this week! Lost In The Fray is returning soon! This double IPA is hopped with Cascade, Mosaic, Simcoe, Chinook and Columbus. It nicely balances fruit-forward hops with piney/dank hops and has medium bitterness. Here's what's on tap currently in the tasting room as of January 2nd. Visit www.institutionales.com/on-tap/ anytime for a daily and most up to date tap list. 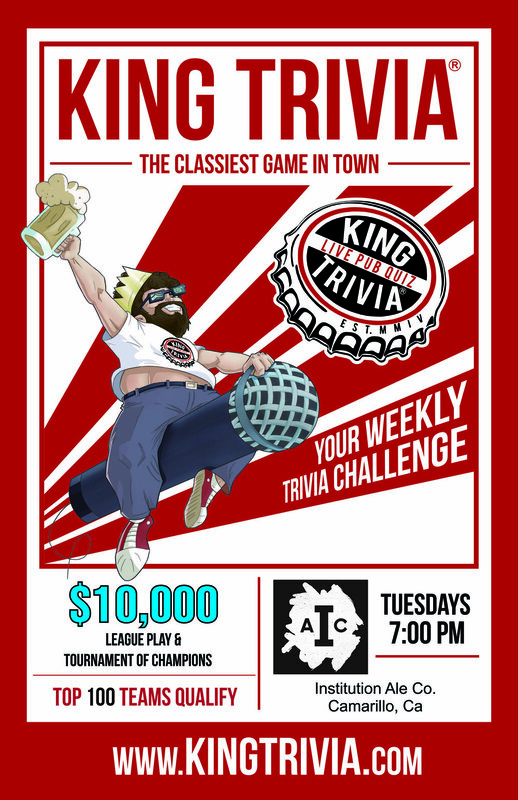 Tap Takeover at Stacked (Thursday, January 17, 2019): Join us for an IAC Tap Takeover at Stacked in Thousand Oaks! Come hang with the IAC crew and try some of the featured beers on tap. Wild Fire Relief Night (Date TBD): We’re hosting a Wild Fire Relief Night here at IAC with our friends from Sierra Nevada & Ladyface. Both Resilience IPA & Backbone IPA will be available at IAC, so make sure to come out and support your community on this one night only event. Check back soon for more details!